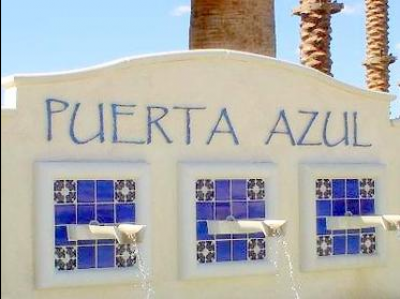 Puerta Azul is a 127 resort home development situated in La Quinta California. This is offered and ready for you to call home. Rembold companies have invested in this wonderful residential project and have acted as advisors to the project staff in its creation. 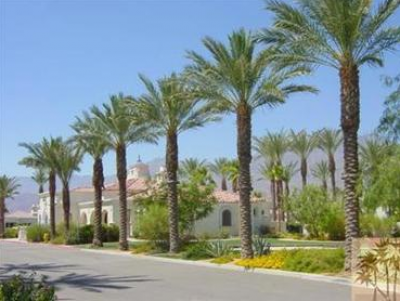 This resort home development can be found in La Quinta near Avenue 54 and Madison. Four models are available to choose from and begin in the lower range of $300,000. This new resort home development is situated between one of the finest golf courses in La Quinta. Puerto Azul La Quinta is full of Spanish style villas situated among cobblestone courtyards and presents those who visit an old world charm only found in La Quinta. This is the perfect space to consider if you need a private getaway for yourself or your family or are looking for a spectacular golf retreat to enjoy. The Puerta Azul community has a fitness room and two swimming pools for community use. 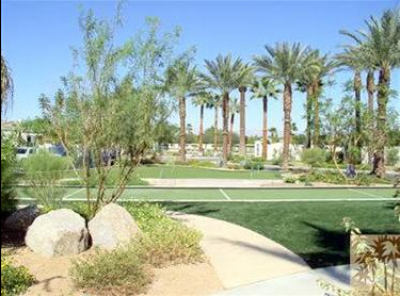 The tennis courts and Old World Bocci Ball court is also available as is the concierge services you will find on site. Desirable shopping spots and fine dining restaurants are only minutes away in this Old Town La Quinta and the close proximity, Palm Desert, which has been named the Rodeo Drive of the desert area. The Famous La Quinta Resort and Club along with the World Class Spa La Quinta are also only minutes away. You will be able to relax and loose yourself in the most breathtaking mountain views that surround this resort community. You can relax and unwind with a leisurely round of golf at the La Quinta Silver Rock Resort or at PGA WEST. Each is only a small drive away. The Skins game is only around the corner at the Trilogy Club. With the great pricing and all the wonderful amenities you will find here at the Puerta Azul resort community, you will begin to see how good life can be. The beautiful courses will be pleasing to the golfer of any skill level and the mountain ranges in the backdrop will supply a restful and relaxing game for you and your friends and associates. If you would like to see property at Puerta Azul, please call us at the numbers below. Were committed to helping you find the home of your dreams.